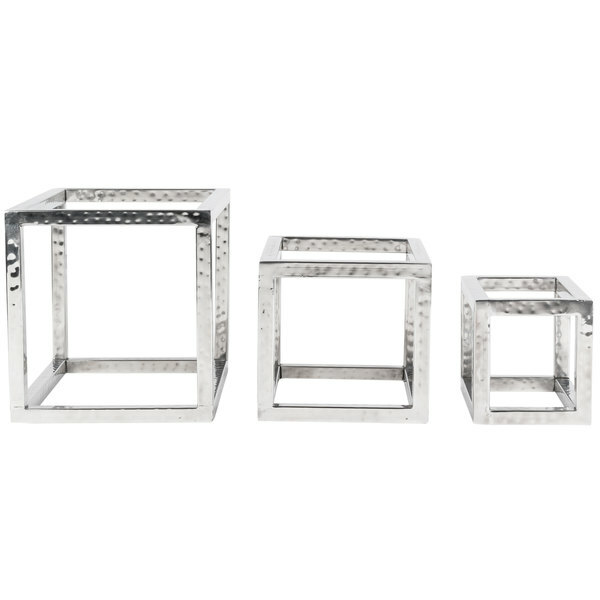 Set the stage for your culinary creations with this American Metalcraft HMSRRSET 3-piece hammered stainless steel open frame riser set. 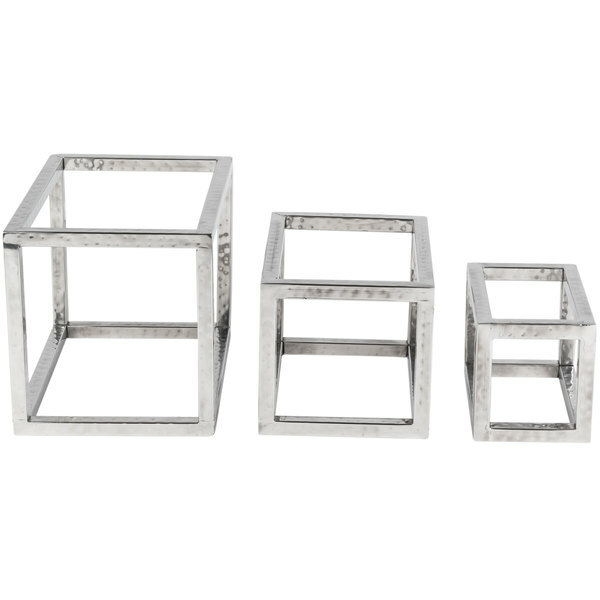 Made of sturdy stainless steel, this riser set is built to withstand repeated use. 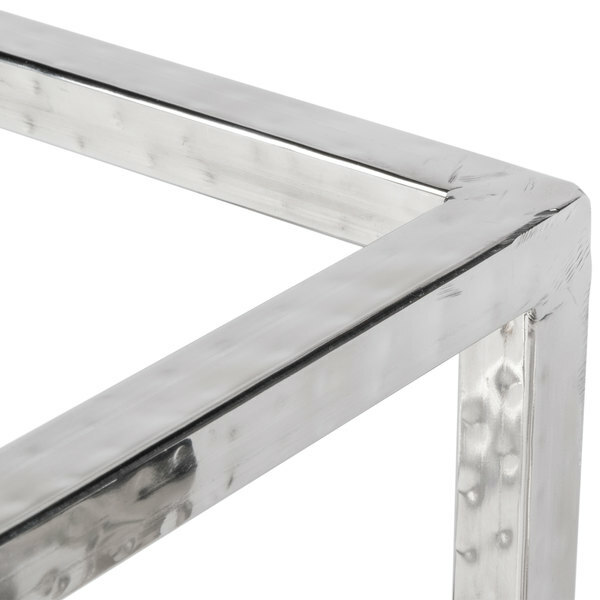 Each riser features a hammered finish to bring a unique look to any table setting. 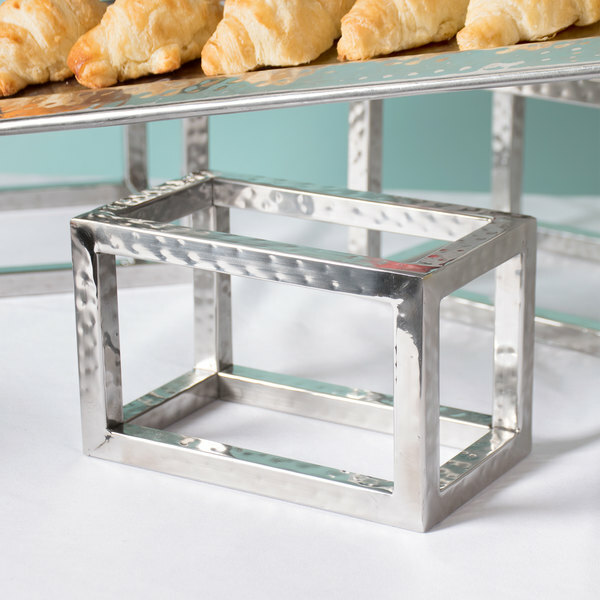 The risers' open frame design provides a light, airy feeling, allowing you to fill tables with your offerings without creating a cluttered presentation. With a small, medium, and large riser included, you will be able to produce an eye-catching, layered display for your most popular menu items. 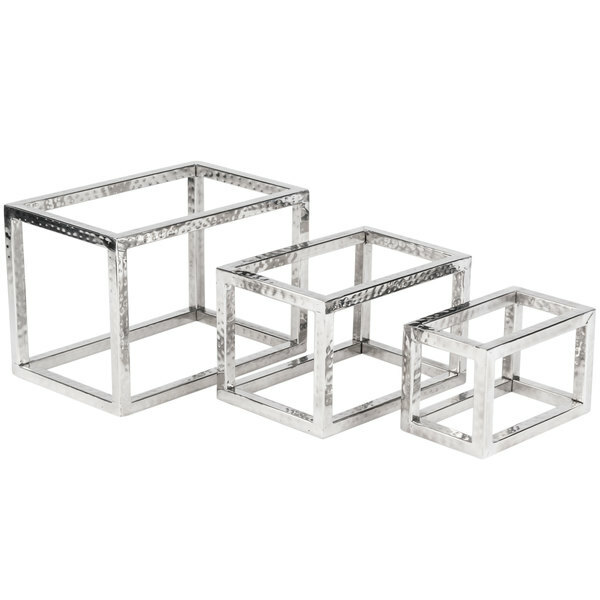 When not in use, these elegant risers nest for efficient, space-saving storage! 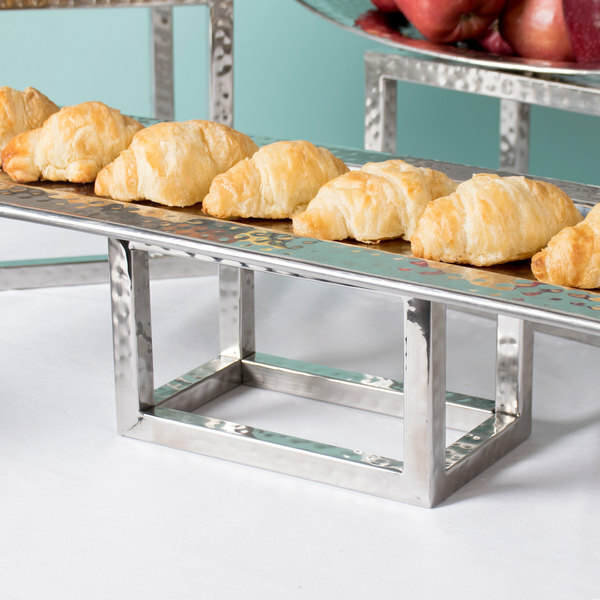 Great for daily specials, hors d'oeuvres, or desserts, this stainless steel riser set will beautifully showcase anything from fresh-baked cakes to creatively-presented gourmet appetizers. 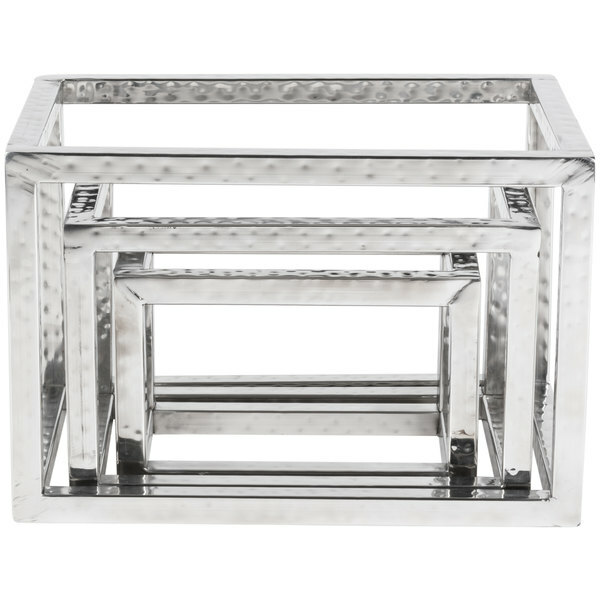 Place each riser at different spots around your table or set them up in front of each other for a stylish stair effect - whatever you choose these risers are sure to entice patrons to your tables. Because of the open design and versatile color, these risers can be paired with virtually any tray or serving board (sold separately). This way you can create precisely the look you desire - the options are limitless! 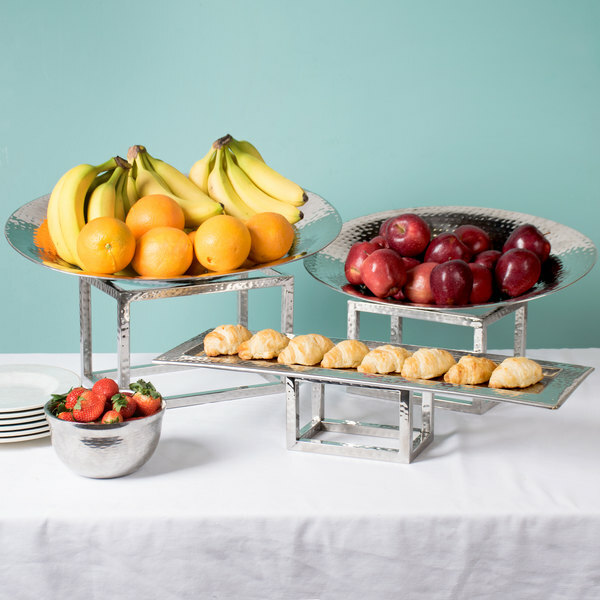 No matter how you style it, this American Metalcraft hammered stainless steel riser set is sure to bring a fresh twist to your traditional buffet presentation. These have been a huge help to our displays. We have used them for appetizers, station entree and dessert displays and they look amazing. I would definitely recommend these to anyone in off premise catering.